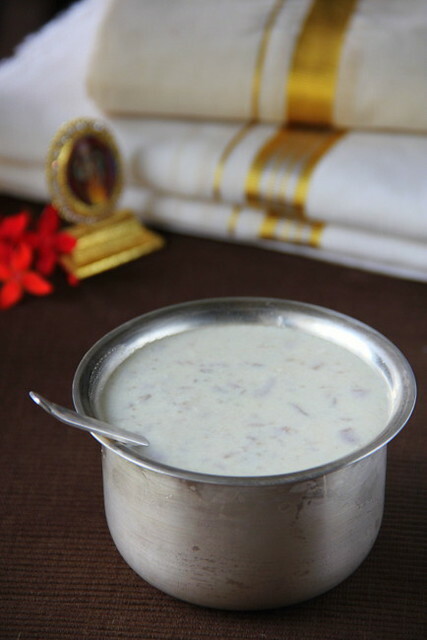 Spicy Chilly: Aval Payasam for Thiruvonam! Yet another year to welcome Maveli in a pompous way! 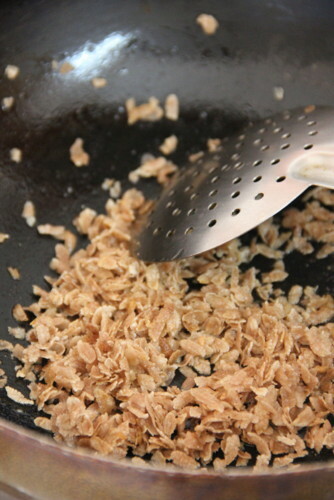 Measure the red rice flakes /Aval. Thin Rose Matta Aval is the best for our purpose. 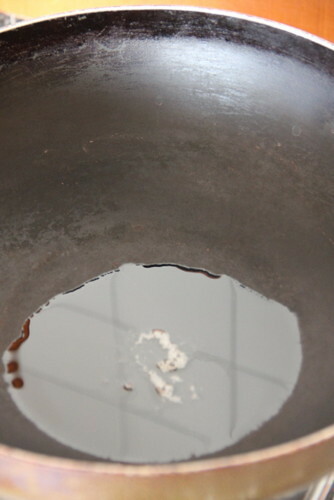 Heat ghee in a wide non-stick kadai. After 20 minutes. Almost done! Exactly after 25 minutes. The piping hot Aval Pal Payasam! It turns thicker when cold. I stir in a little milk to dilute. 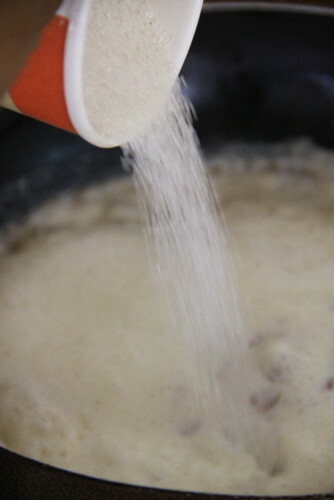 Traditionally Payasam is made in Uruli as you all know. A broad and wide non stick kadai would be the best practical alternative in our modern world. Before preaparig the payasam see to it you fill it with water, boil and discard with a gentle rinse, ensuring the cleansing away of any particles of spices or heat of chillies, sticking to the kadai. Aval Pal Payasam prepared by the above method doesn't contain added flavours of cardamom and is not enriched with nuts. 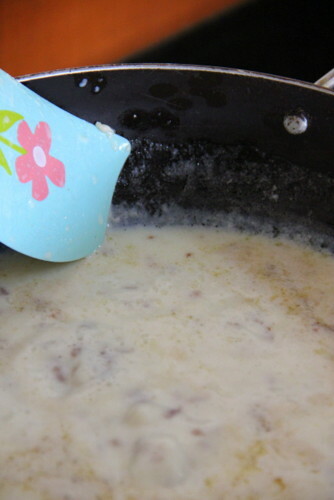 You can always have your own versions, flavoring with cardamom, adding nuts or substituting a portion of milk and sugar with sweetened condensed milk. This way you save half the stove top time! 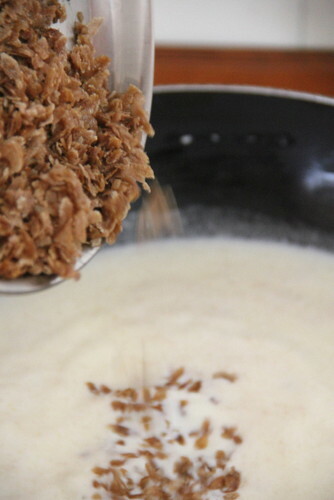 Try crumbling the fried aval, gently with your fingers, before stirring into the milk. That would be a twist! 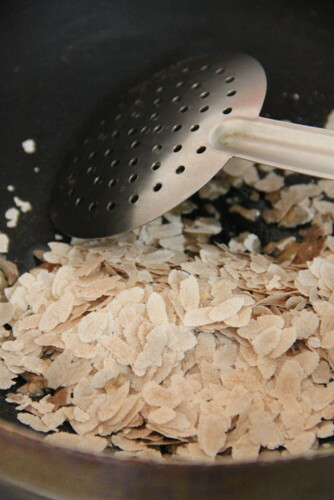 I had always been sticking to the method I had elaborated and had always tasted Heaven with that natural flavour of cooked aval in boiled milk! And I always love that way! So, here's wishing you all a Very Happy and Prosperous Onam! Finally you got an Onam post here!!! I don't think I could able to do a single post for Onam this time :(... 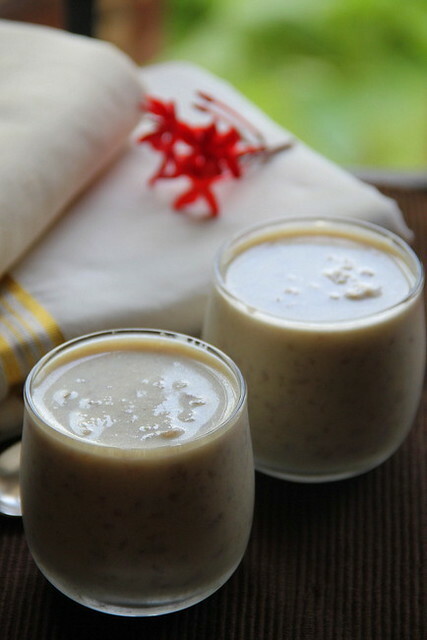 This payasam was in my to do list for a long time... will try this next week! :D I like that!! 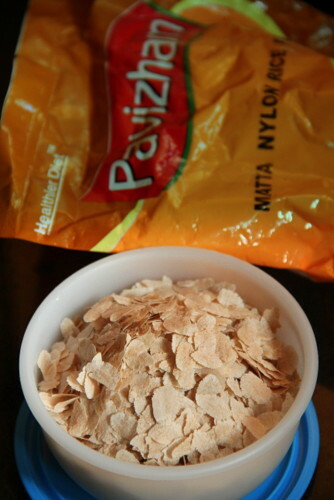 :) yes it's apt for the Jayanthi.aval and milk being Lord's favourite! I do the same too. 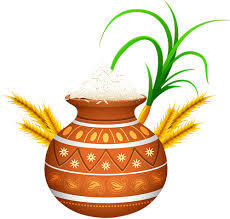 Habby Onam! 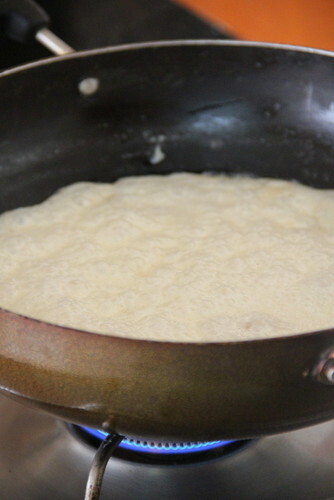 :D Loved the technique of frying the aval first before adding to the paal! YUM! 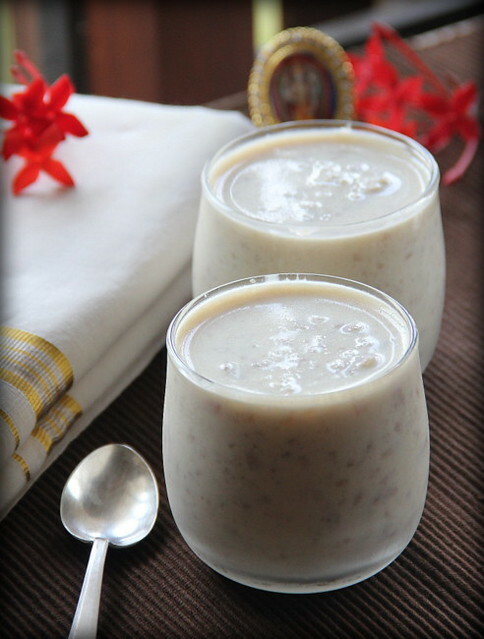 Easy and yummy payasam...my fav anytime. Lovely festive post , beautiful clicks ..
lovely clicks.. n never made aval payasam.. ll try soon.. bookmarked it..
Onasamsagal to you. 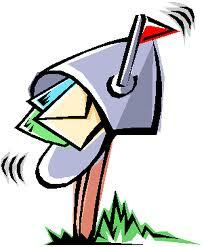 Do you get clean aval so you do not have to wash? This is creamy goodness in a glass! 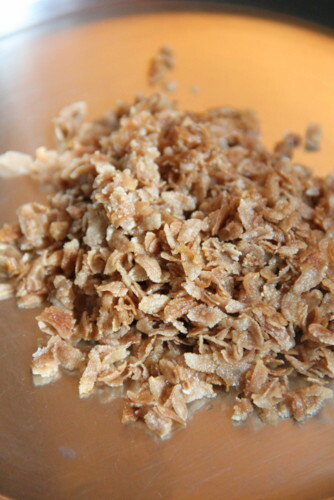 We generally dont rinse the thin flaky aval (grab good varieties) as it almost dissolves in water. 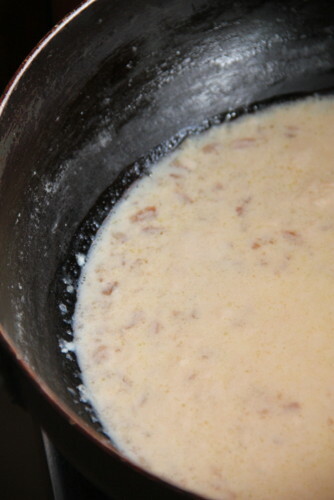 anything for frying need not be rinsed (is what my motto ;)) except for whole grains and dal..
Love Aval payasam a lot.. Happy Onam to u and family Bharathy. Lovely clicks. Lovely Payasam. Advance onam Wishes to you!!! 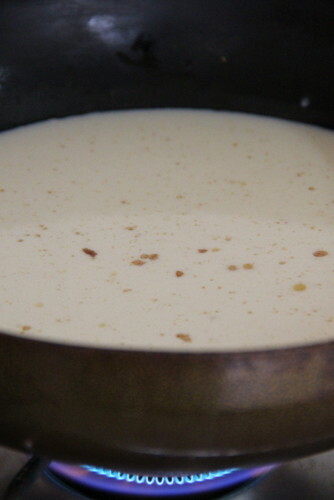 Payasam looks very creamy. Just got some time to read and enjoy your recipes. Awesome. I like the poondu kulambu. Thats exactly how my mom makes it using oru poondu. Love it absolutely. 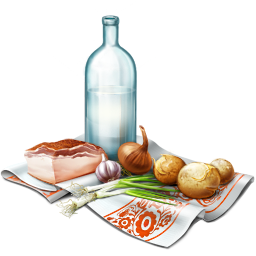 Bharathy, quick question: If I have to use condensed milk instead of sugar and part of the milk rpoportion., can you tell me for the above measurement, how much ratio of milk and condensed milk should i use? I will not be adding sugar if I use condensed milk. I don't like my payasam tooo sweet. To give you a quick answer, honestly i haven't tried that method.. 2 1/3 cups of milk is reduced to 1.5 cups. 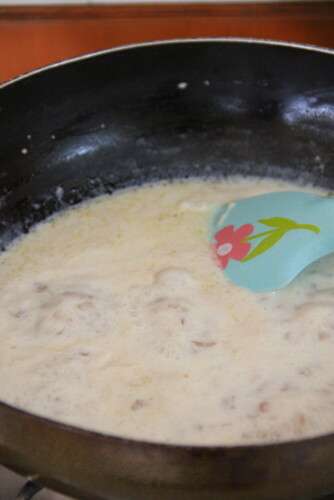 So logically replacing half of the milk with condensed milk must work. Dont add sugar at all if you like it less sweet. can always mix in towards the end. 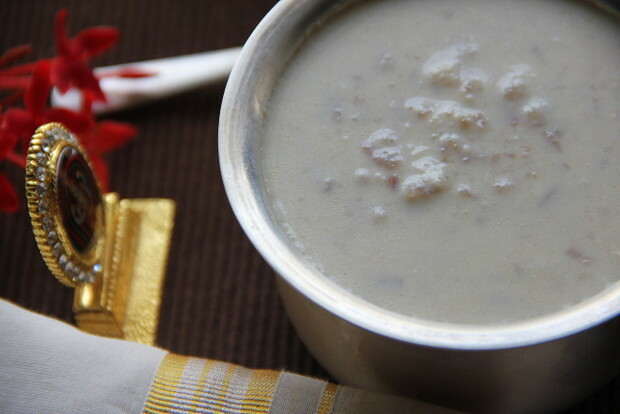 Super creamy and irresistible payasam,prefect for the celebration. Such a tempting and delicious payasam..
Planning to try this one for Uthradam sadya ie tmrw:)Love the light brown colour of the payasam-yum! Milk to Butter - a stepwise tutorial journey!